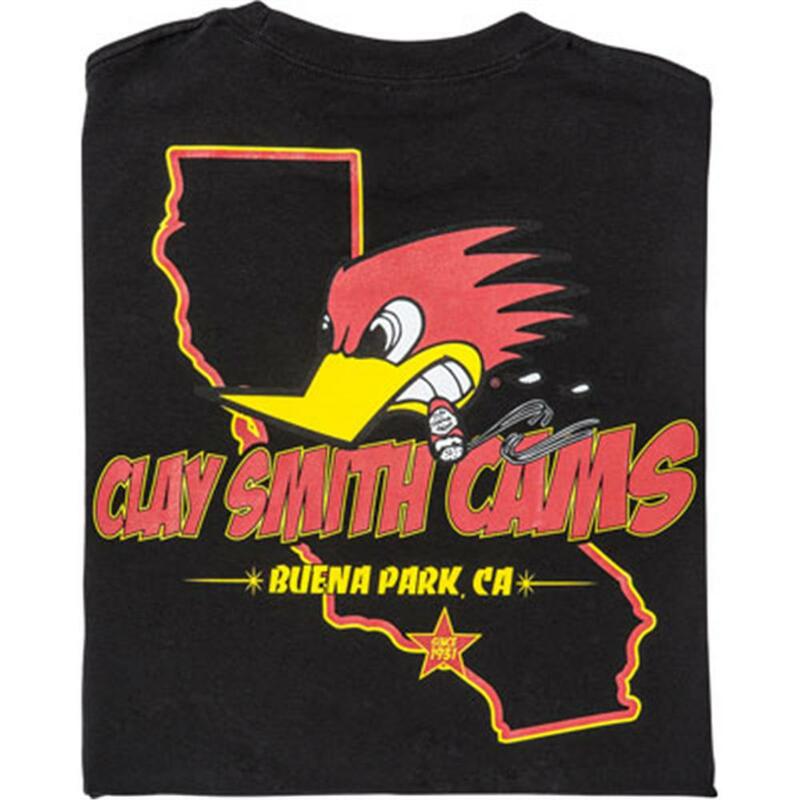 Clay Smith Cams California T-Shirt Black - California Car Cover Co.
Clay Smith's cigar-chomping woodpecker has become a well-known icon in the automotive and racing industries. The genuine Clay Smith Cams Mr. Horsepower logo is silkscreened across the back as well as the left chest of this black 100% cotton t-shirt.